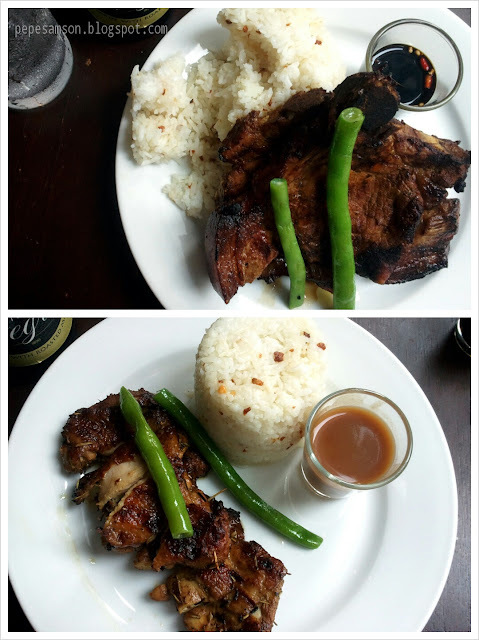 There was a time not too long ago when my daily lunch was composed of two slabs of grilled pork chops, and that time was when we were so addicted to Bugsy’s. 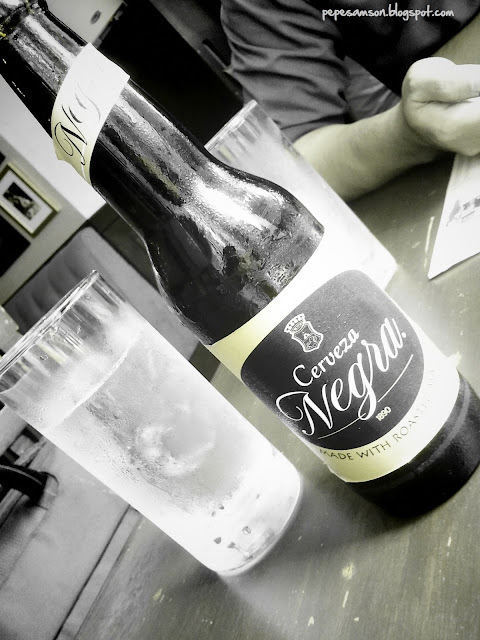 Situated in Burgos Circle in The Fort, Bugsy’s Bar and Bistro is a favorite among professionals working in the area -- as well as among foodies who are willing to travel just to satisfy an immediate yearning. 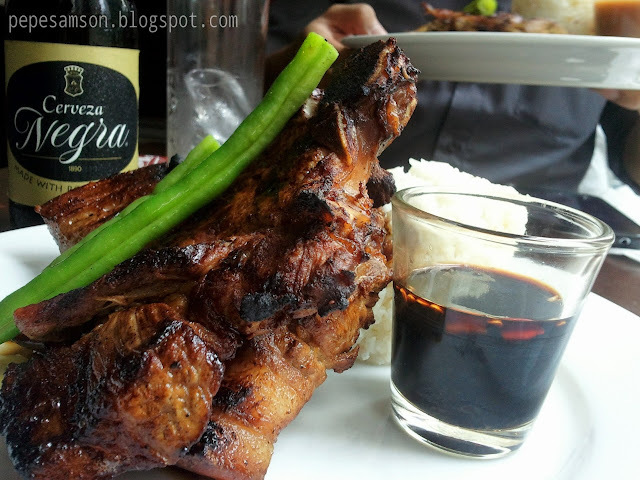 I work in McKinley Hill, and often times, my friends and I would drive over to Bugsy’s or get there via cab so we could stop imagining their pork chops and eat them for real instead. My saddest days were when Bugsy’s was so packed with customers that we would be forced to decide to eat someplace else. On such days I wish I had an explosive I could hurl onto people so they would vacate the place. In the several times we did manage to get seats, I already fell in love with some of the dishes they offer. Undeniably, for gluttons like me, the two-piece pork chops are the best choice. Served with garlic rice and side vegetables, the juicy pork chops ooze with flavor and demand an extra serving of rice, sometimes even two, haha! You can’t blame me, I’m a dancer, I train 3 hours every day, sometimes even up to 5 hours, I deserve to binge like this! Unlike you, you just sit there all day reading food blogs and then decide to go out and eat. Call me, I wanna try their steaks, let’s have dinner. LOL! Another instant favorite is the Chicken Rosemary. I like anything that’s heavily herbed, and this dish is surely one of them. 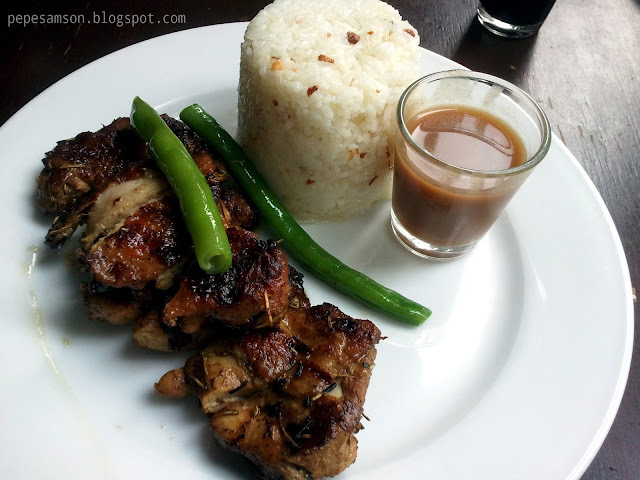 It reminds me of Sizzling Pepper Steak’s Herbed Chicken Steak, but without the smoky smell that lingers on your clothes after. This is precisely the best thing with flavorful, salty food—I get an excuse to have more servings of rice! 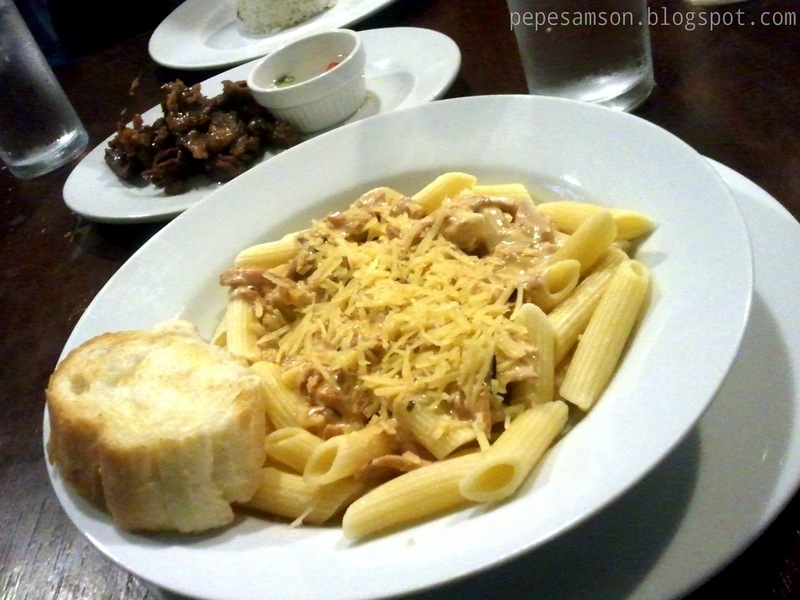 Sometimes, even though I have consumed a rice-accompanied meal, I still have the enthusiasm and stomach capacity to order pasta. 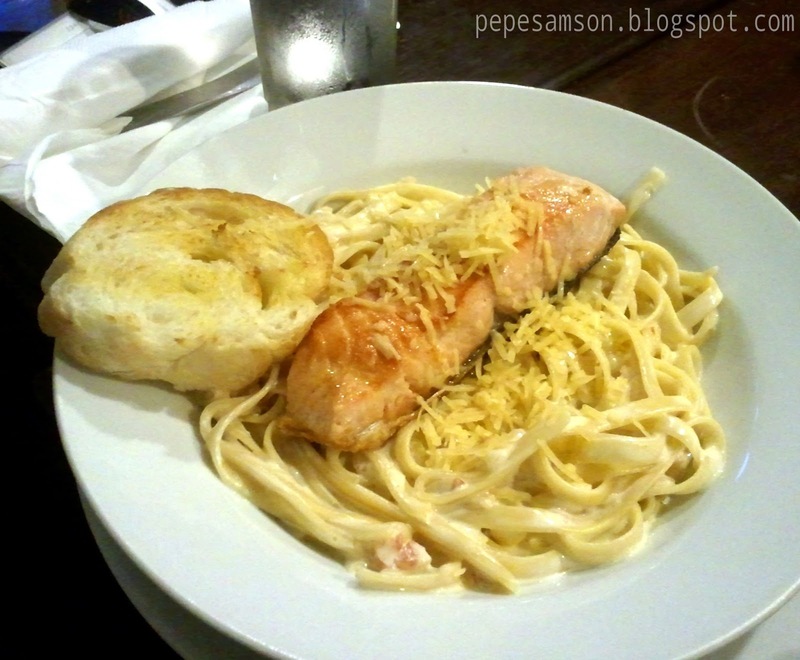 Bugsy’s Spicy Tuna Pasta and the Pan-Seared Salmon (Norwegian salmon with carbonara) are truly delectable. 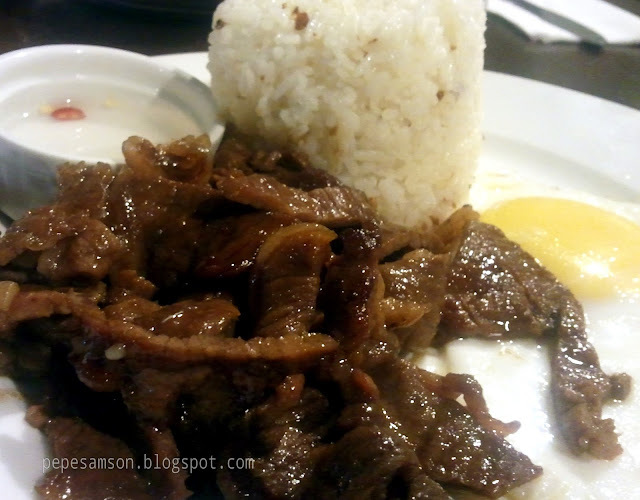 I have also tried the Bugsy’s Famous Cured Beef Surprise, an all-day breakfast set that features tapa that is so tender and mouth-watering, especially if doused in the vinegar that comes with it. If you’re a fan of sinful food in ridiculously huge servings, if you believe good value doesn’t have to come with an outrageous price tag, Bugsy’s is the place for you. Visit the restobar one of these days, and I pray sincerely that you will get seats (bring explosives). Guzzle some beer while you wait for your food, or choose from one of their cocktails. Or order whisky, like I do, multiple shots—but be sure to make up for that through exercise some other day. Give me three Jack Cokes, I’m a dancer, I have an excuse!